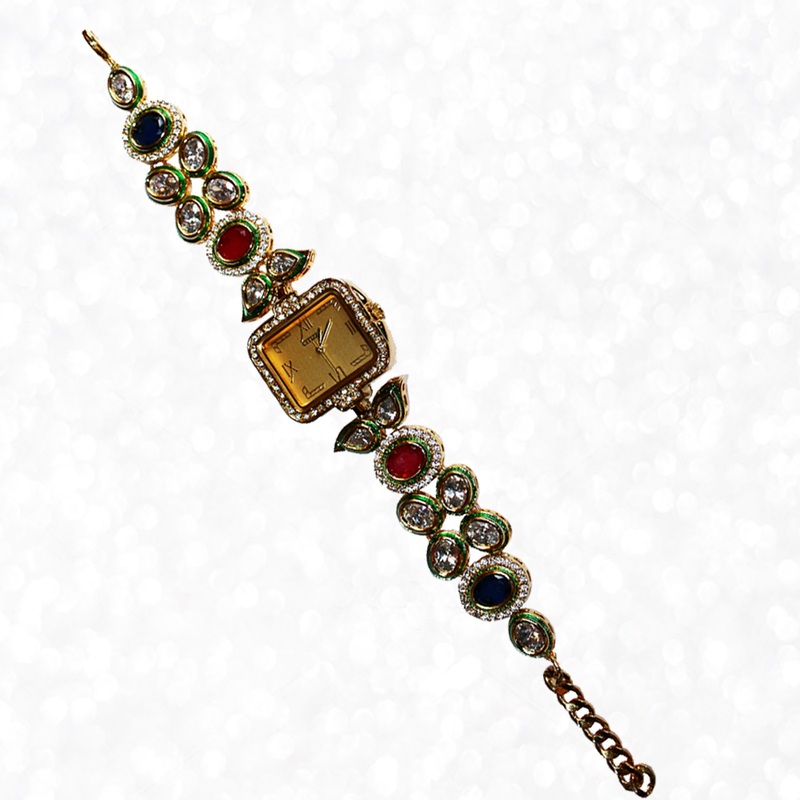 The beauty of this Square Shaped Kundan Work Wrist Watch with Stones lies in the exquisite placement of the stones, which accentuates the gorgeousness of Read More..the Kundan work. Moreover, the presence of CZ ruby, Zircon, and CZ blue sapphire adds to the elegance and premium feel of this wrist watch to make it appealing to the most discernible of buyers. Show Less..